Tin Men Capital, a Singapore-based VC firm founded by veteran investors, including Murli Ravi (formerly with Temasek and JAFCO), has announced the first close of its first US$100 million fund targeting B2B startups in Southeast Asia. The fund will seek opportunities in smart industrial technologies and automation that are coming to the fore in segments such as smart cities, security, enterprise productivity, transport and logistics, omni-channel retail enablement, and travel and tourism. Additionally, Tin Men I has also announced investments in two Singapore startups — Overdrive IOT and Globaltix. Tin Men was launched in March this year by Ravi (previously Head of South Asia Investments at JAFCO Asia Pacific), Jeremy Tan (formerly at Morgan Stanley and Puma Energy), and Benjamin Tan (a seasoned serial entrepreneur and angel investor). The VC fund will lead all follow-on financing rounds until the point of exit for investee companies, as well as manage the entire financing and exit process for the mutual benefit of entrepreneurs and Tin Men. According to Ravi, the enterprise technology space in Southeast Asia is starting to mature in terms of both demand and offerings, but it remains under-served by venture capital firms. “Tin Men’s strategy will help bring the sector together to the benefit of founders, operating businesses, and investors alike. This strategy will help promote entrepreneurship in Singapore and Singapore as a centre for technology and innovation. It leverages Singapore’s position as a financial center with robust legal underpinnings. While Singapore may have a relatively small consumer market, we have sizeable B2B reach with many regional and multinational companies selecting Singapore as their Asia-Pacific headquarters,” he added. “Our vision is not just limited to funding deserving enterprise technology teams. We will not stop there. We aim to create a thriving and sustainable ecosystem with Singapore as its heart where enterprise technology companies, customers and investors across Southeast Asia will be more actively engaged for growth, thereby creating intellectual property locally, unlocking efficiencies for established operating businesses and promoting job creation,” said Benjamin Tan. 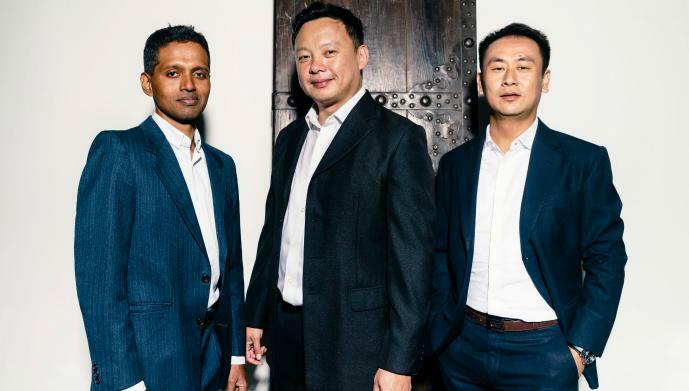 Tin Men’s stellar advisory board spans industry, investing and entrepreneurship, and consists of Robert Binyon, Lee Ah Boon, Haresh Khoobchandani, Prof Bala Vissa, and Tan Chin Hwee. Incorporated in 2015 by Aston Chia (CEO) and Zen Chin (COO), Overdrive has developed software to connect moving assets, people, sensors and devices, and provides a platform to manage the data and interactions generated by these connections. The startup takes advantage of dramatically falling costs of connectivity, data and hardware, combined with asset owners’ need to increase their productivity and efficiency. Founded by brothers Chan Chee Chong and Chan Chee Kong, Globaltix has created an e-ticketing platform serving the tourism industry by helping to connect tourist attractions with travel agents. Globaltix builds on two big trends: intra-region tourism within Asia and consumer digital adoption driving digitisation of travel companies. Globaltix is not a B2C company and does not need to spend to build or recreate an already existing audience. The company is a behind-the-scenes infrastructure provider that addresses the three main issues facing the tourism industry, namely the highly fragmented nature of the market, demanding and digitally savvy travellers, and under-prepared service providers. The post Tin Men Capital makes first close of its US$100M B2B fund; invests in Overdrive IOT, Globaltix appeared first on e27.